Mumbai: Guinness World Record-holding sand artist Sudarsan Pattnaik created a sand art depicting the face of superstar Aamir Khan from the Dangal poster on the sands of Versova Beach here. 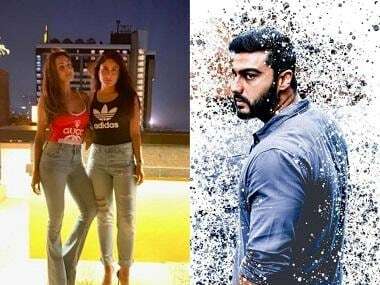 On Wednesday, he made a larger-than-life sand sculpture of Aamir's face with a ‘Keep the Beach Clean' message, read a statement from Zee TV, which will bring the world television premiere of Dangal on Sunday. 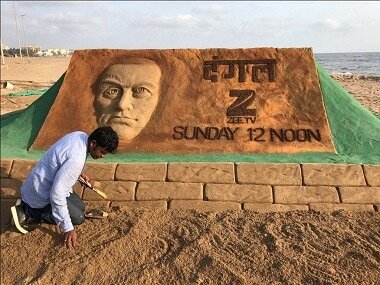 It took the sand artist eight hours in the sweltering heat of Mumbai to put together his sand tribute to Aamir. Pattnaik said in a statement: "It is a privilege to pay a tribute to an artiste of the stature of Aamir Khan. His 'Dangal' begins in the sand and so does mine. Here's raising a toast to the 'Dangal' in all our lives!" The channel will also offer an opportunity to audiences to meet and interact with Aamir. 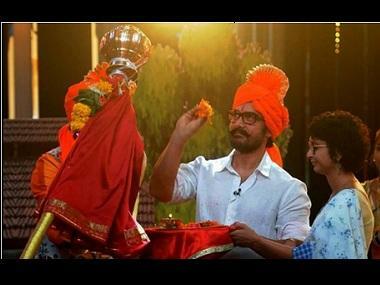 Supported with a contest run on local radio stations and social media, fans who will ask the most exciting questions to Aamir will get a chance to meet and interact with him live during the shoot of the chat show "Dangal Dangal Baat Chali Hai", which will be telecast on Sunday after the film's world television premiere. In Dangal, Aamir essays the role of former wrestler Mahavir Phogat, the father of Indian women wrestlers Geeta and Babita Kumari Phogat.